Please click on the image above to view in high resolution. 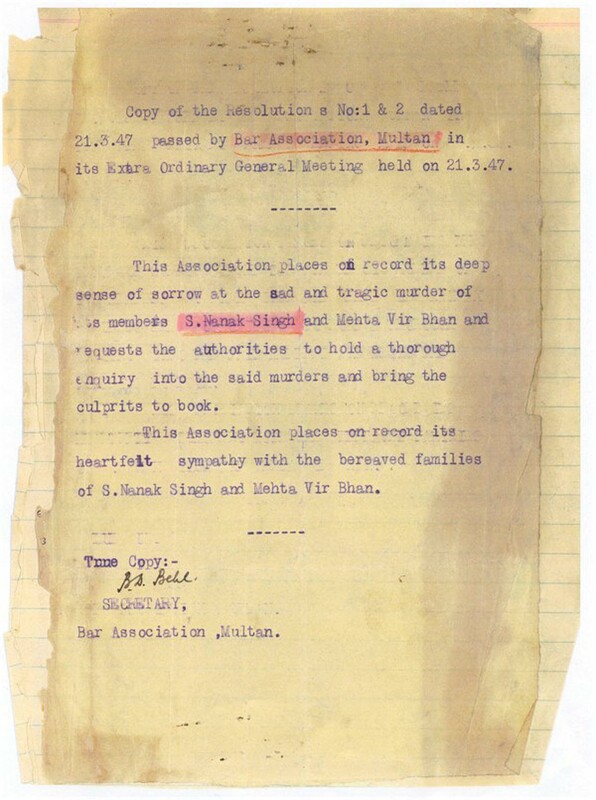 I am deeply struck and saddened on hearing of the martyrdom of Sardar Nanak Singh. At the same time the news came as a reassurance that such supreme sacrifices have been providing the way forward for the Panth. 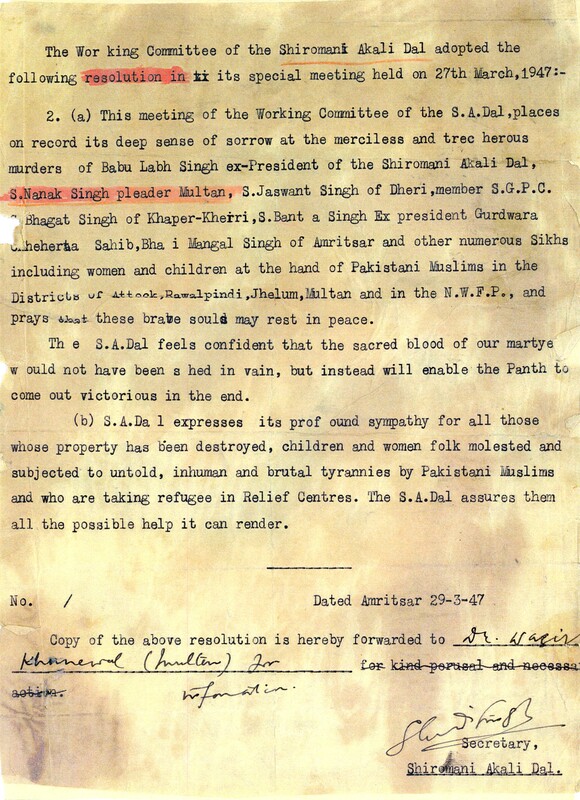 I am convinced that this martyrdom, too, will strengthen the foundations of the Panth. I am sure you have been struck by grief but I hope that like a true Gursikh and accepting the will of God, you will thank him for giving your son such a high position. Postal services have remained suspended for a few days. Then I had to go away. 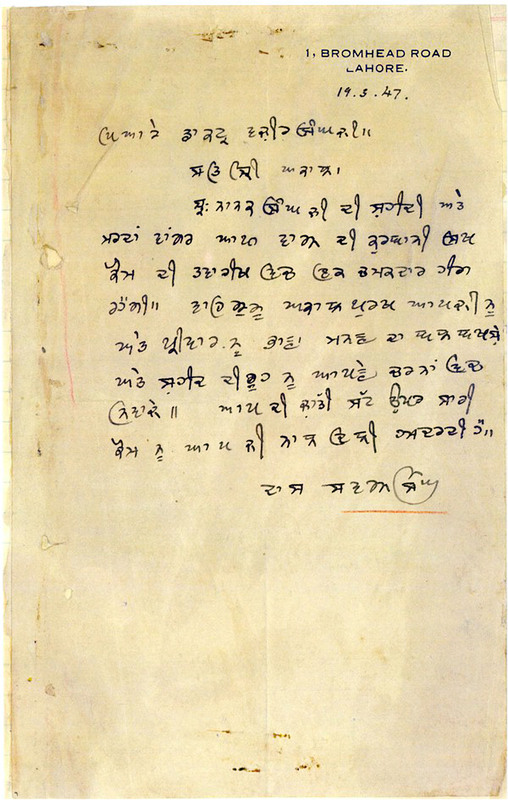 I returned yesterday and today I recalled Sardar Nanak Singh who was a total embodiment of love and devotion for the Panth as this son of yours. The only regret I have is that this Gursikh, who was ever ready for Martyrdom, has been taken away by the Almighty before showing his full brilliance. We must submit to His Will. 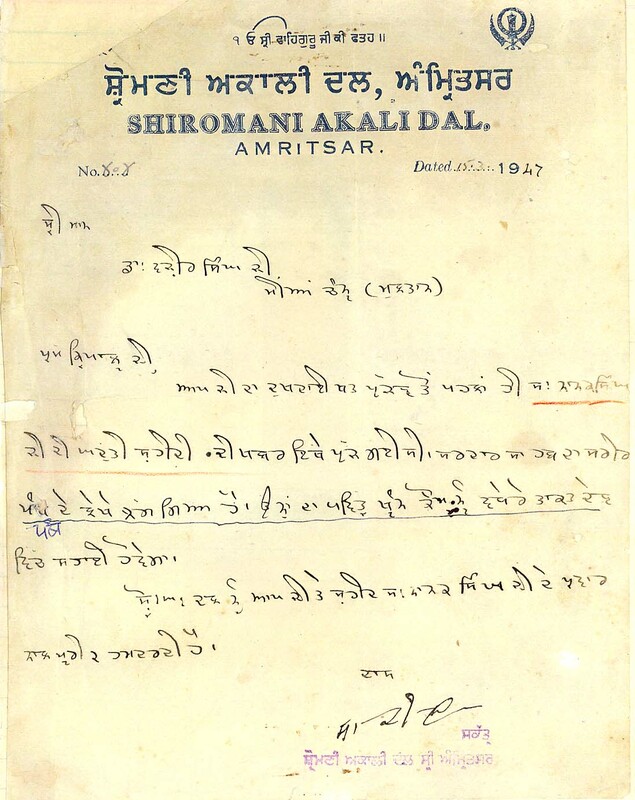 I am the humble adorer of yours and of martyr brother Nanak Singh. 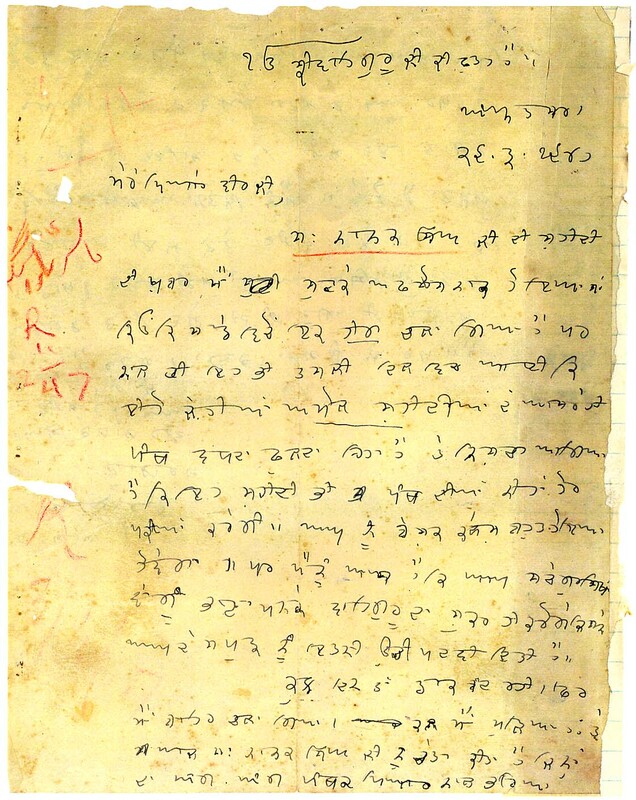 The news of unique martyrdom of Sardar Nanak Singh Ji had already come here before we received your painful letter. 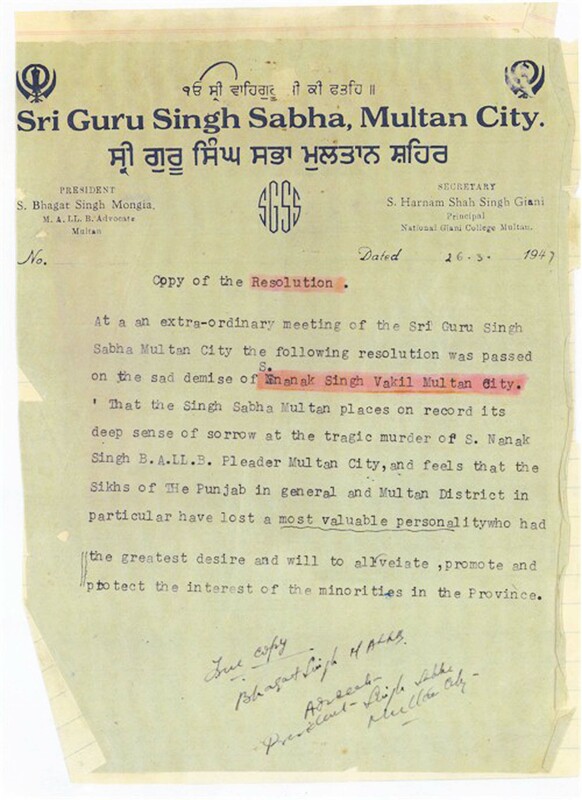 Sardar Sahib’s body has been sacrificed for the Panth. His sacred blood will greatly nourish and further strengthen the Panth. 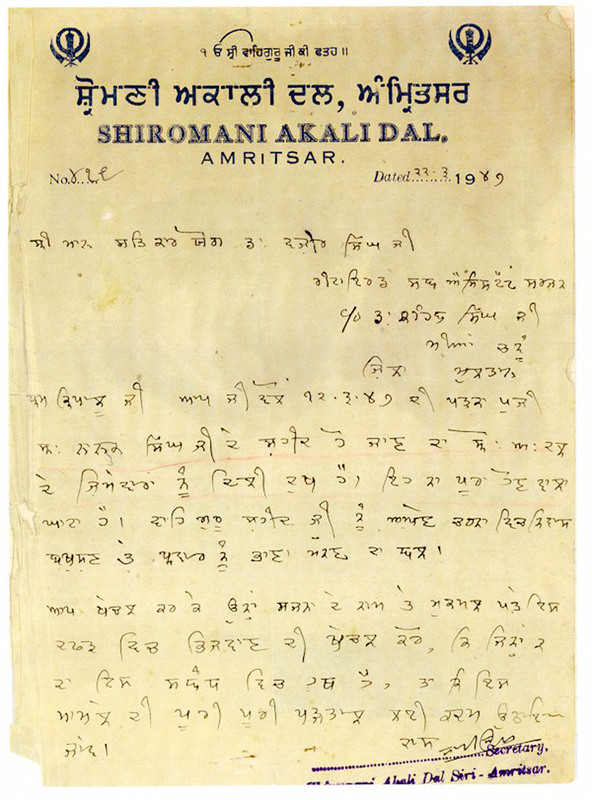 Shiromani Akali Dal expresses their full sympathy with you and the bereaved family. We have received your letter of 12th inst. The entire leadership of Shiromany Akali Dal mourns the matyrdom of Sardar Nanak Singh Ji with deeply felt grief. It is an irreparable loss. May God grant the departed soul place at His feet and give the bereaved family the strength to bear the loss. Please spare no effort to trace the people involved in this dastardly crime and forward their name and addresses to us to enable us to take steps for a thorough investigation of the case. 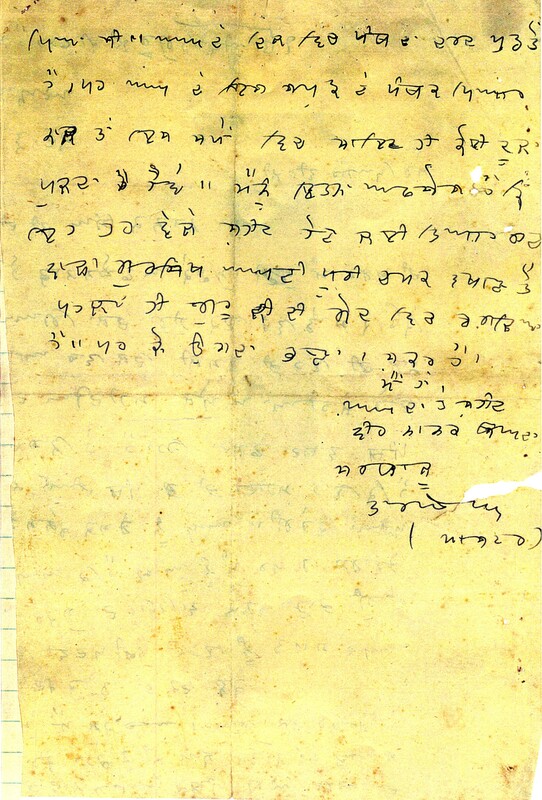 LETTER FROM S. SWARN SINGH TO SHAHEED NANAK SINGH'S FATHER. S. Swaran Singh Later Became The Foreign Secretary Of India. Sardar Nanak Singh’s martyrdom and to sacrifice his life like a man will always outshine like a diamond in the Sikh history. May God almighty bless you and the family with strength to bear the loss and give place to the departed soul at His feet. The whole community has sympathy with your personal loss.